Read my writing in action. 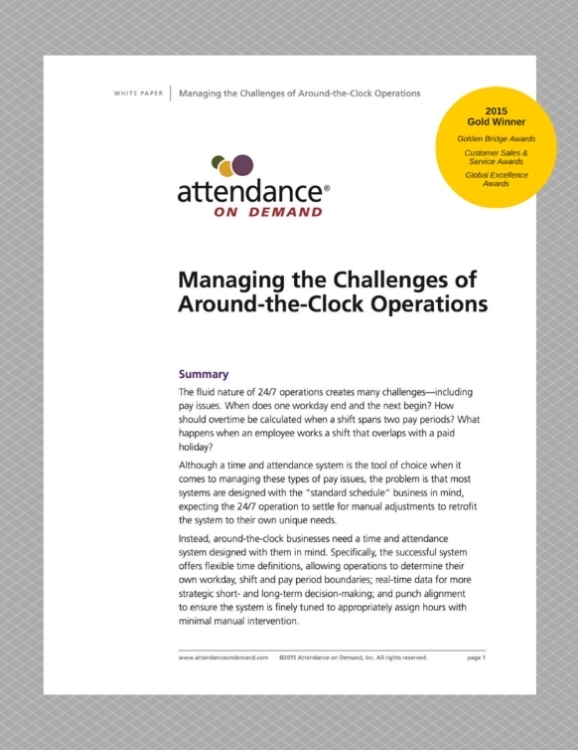 Attendance on Demand, a Web-based workforce management system, uses monthly white papers to keep customers up to date on labor laws and business trends. I research each topic, draft the paper, and regularly pitch relevant topics to explore. Attendance on Demand also had the opportunity to publish an article on paid sick leave laws (a growing business trend) in Paytech, the trade publication for the American Payroll Association. This increased their thought leadership presence in the payroll industry, one of their key audiences. Thomson Reuters' Techstreet, a subscription-based electronic service for technical and engineering standards, was preparing to launch Techstreet Enterprise and needed an email series to announce the upgrade and get customers excited about the new additions. Arjuna Solutions, an advanced predictive analytics company, wanted to update their site to serve as lead generation and call-to-action for new Persanalytix subscribers. Persanalytix, a unique SaaS product, helps non-profit and for-profit users identify customer insights and predict revenue potential for more effective and targeted marketing campaigns. When Autonomic Controls, a leading innovator of integrated digital media solutions for custom electronics, received the industry's CHIP Gold Award for its Media Control Server, they needed a press release to catch the attention of industry publications. Looking for a specific project type? Contact me. Some projects can't be displayed publicly due to clients' strategic initiatives.